Seaborgium is a chemical element with symbol Sg and atomic number 106. It is named after the American nuclear chemist Glenn T. Seaborg. It is one of only two elements named after a living person at the time of naming, the other being oganesson. It is a synthetic element (an element that can be created in a laboratory but is not found in nature) and radioactive; the most stable known isotope, 269Sg, has a half-life of approximately 3.1 minutes. In the periodic table of the elements, it is a d-block transactinide element. It is a member of the 7th period and belongs to the group 6 elements as the fourth member of the 6d series of transition metals. Chemistry experiments have confirmed that seaborgium behaves as the heavier homologue to tungsten in group 6. The chemical properties of seaborgium are characterized only partly, but they compare well with the chemistry of the other group 6 elements. In 1974, a few atoms of seaborgium were produced in laboratories in the former Soviet Union and in the United States. The priority of the discovery and therefore the naming of the element was disputed between Soviet and American scientists, and it was not until 1997 that International Union of Pure and Applied Chemistry (IUPAC) established seaborgium as the official name for the element. 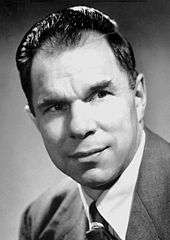 Element 106 was named after Glenn T. Seaborg, a pioneer in the discovery of synthetic elements, with the name seaborgium (Sg). Two groups claimed discovery of the element. Evidence of element 106 was first reported in 1974 by a Russian research team in Dubna led by Yuri Oganessian, in which targets of lead-208 and lead-207 were bombarded with accelerated ions of chromium-54. In total, fifty-one spontaneous fission events were observed with a half-life between four and ten milliseconds. After having ruled out nucleon transfer reactions as a cause for these activities, the team concluded that the most likely cause of the activities was the spontaneous fission of isotopes of element 106. The isotope in question was first suggested to be seaborgium-259, but was later corrected to seaborgium-260. A few months later in 1974, researchers at the University of California, Berkeley, including Glenn T. Seaborg and Albert Ghiorso, also synthesised the element by bombarding a californium-249 target with oxygen-18 ions, using equipment similar to that which had been used for the synthesis of element 104 five years earlier, observing at least seventy alpha decays, seemingly from the isotope seaborgium-263m with a half-life of 0.9±0.2 seconds. The alpha daughter rutherfordium-259 and granddaughter nobelium-255 had previously been synthesised and the properties observed here matched with those previously known, as did the intensity of their production. The cross-section of the reaction observed, 0.3 nanobarns, also agreed well with theoretical predictions. These bolstered the assignment of the alpha decay events to seaborgium-263m. A dispute thus arose from the initial competing claims of discovery, though unlike the case of the synthetic elements up to element 105, neither team of discoverers chose to announce proposed names for the new elements, thus averting an element naming controversy temporarily. The dispute on discovery, however, dragged on until 1992, when the IUPAC/IUPAP Transfermium Working Group (TWG), formed to put an end to the controversy by making conclusions regarding discovery claims for elements 101 to 112, concluded that the Soviet synthesis of seaborgium-260 was not convincing enough, "lacking as it is in yield curves and angular selection results", whereas the American synthesis of seaborgium-263 was convincing due to its being firmly anchored to known daughter nuclei. As such, the TWG recognised the Berkeley team as official discoverers in their 1993 report. ...we were given credit for the discovery and the accompanying right to name the new element. The eight members of the Ghiorso group suggested a wide range of names honoring Isaac Newton, Thomas Edison, Leonardo da Vinci, Ferdinand Magellan, the mythical Ulysses, George Washington, and Finland, the native land of a member of the team. There was no focus and no front-runner for a long period. Then one day Al [Ghiorso] walked into my office and asked what I thought of naming element 106 "seaborgium." I was floored. The name seaborgium and symbol Sg were announced at the 207th national meeting of the American Chemical Society in March 1994 by Kenneth Hulet, who was on the Berkeley team that discovered the element. However, IUPAC resolved in August 1994 that an element could not be named after a living person, and Seaborg was still alive at the time. Thus, in September 1994, IUPAC recommended a set of names in which the names proposed by the three laboratories (the third being the GSI Helmholtz Centre for Heavy Ion Research in Darmstadt, Germany) with competing claims to the discovery for elements 104 to 109 were shifted to various other elements, in which rutherfordium (Rf), the Berkeley proposal for element 104, was shifted to element 106, with seaborgium being dropped entirely as a name. This would be the first time in history that the acknowledged and uncontested discoverers of an element are denied the privilege of naming it. In the interest of international harmony, the Committee reluctantly accepted the name 'dubnium' for element 105 in place of 'hahnium' [the American proposal], which has had long-standing use in literature. We are pleased to note that 'seaborgium' is now the internationally approved name for element 106. I am, needless to say, proud that U.S. chemists recommended that element 106, which is placed under tungsten (74), be called 'seaborgium.' I was looking forward to the day when chemical investigators will refer to such compounds as seaborgous chloride, seaborgic nitrate, and perhaps, sodium seaborgate. This is the greatest honor ever bestowed upon me—even better, I think, than winning the Nobel Prize. [lower-alpha 1] Future students of chemistry, in learning about the periodic table, may have reason to ask why the element was named for me, and thereby learn more about my work. Seaborg died two years later, on 25 February 1999, at the age of 86. Super-heavy elements such as seaborgium are produced by bombarding lighter elements in particle accelerators that induces fusion reactions. Whereas most of the isotopes of seaborgium can be synthesized directly this way, some heavier ones have only been observed as decay products of elements with higher atomic numbers. Seaborgium has no stable or naturally-occurring isotopes. Several radioactive isotopes have been synthesized in the laboratory, either by fusing two atoms or by observing the decay of heavier elements. Twelve different isotopes of seaborgium have been reported with atomic masses 258–267, 269, and 271, three of which, seaborgium-261, 263, and 265, have known metastable states. All of these decay only through alpha decay and spontaneous fission, with the single exception of seaborgium-261 that can also undergo electron capture to dubnium-261. There is a trend toward increasing half-lives for the heavier isotopes; thus the heaviest three known isotopes, 267Sg, 269Sg, and 271Sg, are also the longest-lived, having half-lives in minutes. Some other isotopes in this region are predicted to have comparable or even longer half-lives, with the longest-lived predicted isotope being 272Sg which is expected to have a half-life of about an hour. Additionally, 263Sg, 265Sg, 265mSg, as well as the predicted 268Sg have or should have half-lives measured in seconds. All the remaining isotopes have half-lives measured in milliseconds, with the exception of the shortest-lived isotope, 261mSg, with a half-life of only 92 microseconds. The proton-rich isotopes from 258Sg to 261Sg were directly produced by cold fusion; all heavier isotopes were produced from the repeated alpha decay of the heavier elements hassium, darmstadtium, and flerovium, with the exceptions of the isotopes 263mSg, 264Sg, 265Sg, and 265mSg, which were directly produced by hot fusion through irradiation of actinide targets. The twelve isotopes of seaborgium have half-lives ranging from 92 microseconds for 261Sg to 3.1 minutes for 269Sg. Seaborgium is expected to be a solid under normal conditions and assume a body-centered cubic crystal structure, similar to its lighter congener tungsten. It should be a very heavy metal with a density of around 35.0 g/cm3, which would be the fourth-highest of any of the 118 known elements, lower than only bohrium (37.1 g/cm3), meitnerium (37.4 g/cm3) and hassium (41 g/cm3), the three following elements in the periodic table. In comparison, the densest known element that has had its density measured, osmium, has a density of only 22.61 g/cm3. This results from seaborgium's high atomic weight, the lanthanide and actinide contractions, and relativistic effects, although production of enough seaborgium to measure this quantity would be impractical, and the sample would quickly decay. Seaborgium is the fourth member of the 6d series of transition metals and the heaviest member of group 6 in the periodic table, below chromium, molybdenum, and tungsten. All the members of the group form a diversity of oxoanions. They readily portray their group oxidation state of +6, although this is highly oxidising in the case of chromium, and this state becomes more and more stable to reduction as the group is descended: indeed, tungsten is the last of the 5d transition metals where all four 5d electrons participate in metallic bonding. As such, seaborgium should have +6 as its most stable oxidation state, both in the gas phase and in aqueous solution, and this is the only oxidation state that is experimentally known for it; the +5 and +4 states should be less stable and the +3 state, the most common for chromium, would be the least stable for seaborgium. Experimental chemical investigation has been hampered due to the need to produce seaborgium one atom at a time, its short half-life, and the resulting necessary harshness of the experimental conditions. Seaborgium should form a very volatile hexafluoride (SgF6) as well as a moderately volatile hexachloride (SgCl6), pentachloride (SgCl5), and oxychlorides SgO2Cl2 and SgOCl4. SgO2Cl2 is expected to be the most stable of the seaborgium oxychlorides and to be the least volatile of the group 6 oxychlorides, with the sequence MoO2Cl2 > WO2Cl2 > SgO2Cl2. In 2001, a team continued the study of the gas phase chemistry of seaborgium by reacting the element with O2 in a H2O environment. In a manner similar to the formation of the oxychloride, the results of the experiment indicated the formation of seaborgium oxide hydroxide, a reaction well known among the lighter group 6 homologues as well as the pseudohomologue uranium. 4. In contrast, in 0.1 M nitric acid, seaborgium does not elute, unlike molybdenum and tungsten, indicating that the hydrolysis of [Sg(H2O)6]6+ only proceeds as far as the cationic complex [Sg(OH)4(H2O)]2+ or [Sg(OH)3(H2O)2]+, while that of molybdenum and tungsten proceeds to neutral [MO2(OH)2)]. The only other oxidation state known for seaborgium other than the group oxidation state of +6 is the zero oxidation state. Similarly to its three lighter congeners, forming chromium hexacarbonyl, molybdenum hexacarbonyl, and tungsten hexacarbonyl, seaborgium has been shown in 2014 to also form seaborgium hexacarbonyl, Sg(CO)6. Like its molybdenum and tungsten homologues, seaborgium hexacarbonyl is a volatile compound that reacts readily with silicon dioxide. ↑ Seaborg had in fact previously won the 1951 Nobel Prize in Chemistry together with Edwin McMillan for "their discoveries in the chemistry of the first transuranium elements". 1 2 3 Barber, R. C.; Greenwood, N.N. ; Hrynkiewicz, A.Z. ; Jeannin, Y.P. ; Lefort, M.; Sakai, M.; Ulehla, I.; Wapstra, A.P. ; Wilkinson, D.H. (1993). "Discovery of the transfermium elements. Part II: Introduction to discovery profiles. Part III: Discovery profiles of the transfermium elements". Pure and Applied Chemistry. 65 (8): 1757. doi:10.1351/pac199365081757. 1 2 3 4 5 6 7 8 "106 Seaborgium". Elements.vanderkrogt.net. Retrieved 2008-09-12. ↑ "The Nobel Prize in Chemistry 1951". Nobel Foundation. Retrieved August 26, 2012. 1 2 3 4 5 Sonzogni, Alejandro. "Interactive Chart of Nuclides". National Nuclear Data Center: Brookhaven National Laboratory. Retrieved 2008-06-06. 1 2 Barber, Robert C.; Gäggeler, Heinz W.; Karol, Paul J.; Nakahara, Hiromichi; Vardaci, Emanuele; Vogt, Erich (2009). "Discovery of the element with atomic number 112 (IUPAC Technical Report)". Pure and Applied Chemistry. 81 (7): 1331. doi:10.1351/PAC-REP-08-03-05. ↑ Armbruster, Peter & Munzenberg, Gottfried (1989). "Creating superheavy elements". Scientific American. 34: 36–42. ↑ Fleischmann, Martin; Pons, Stanley (1989). "Electrochemically induced nuclear fusion of deuterium". Journal of Electroanalytical Chemistry and Interfacial Electrochemistry. 261 (2): 301–308. doi:10.1016/0022-0728(89)80006-3. ↑ Greenwood, Norman N.; Earnshaw, Alan (1997). Chemistry of the Elements (2nd ed.). Butterworth-Heinemann. pp. 1002–39. ISBN 0-08-037941-9. 1 2 Even, J.; Yakushev, A.; Dullmann, C. E.; Haba, H.; Asai, M.; Sato, T. K.; Brand, H.; Di Nitto, A.; Eichler, R.; Fan, F. L.; Hartmann, W.; Huang, M.; Jager, E.; Kaji, D.; Kanaya, J.; Kaneya, Y.; Khuyagbaatar, J.; Kindler, B.; Kratz, J. V.; Krier, J.; Kudou, Y.; Kurz, N.; Lommel, B.; Miyashita, S.; Morimoto, K.; Morita, K.; Murakami, M.; Nagame, Y.; Nitsche, H.; et al. (2014). "Synthesis and detection of a seaborgium carbonyl complex". Science. 345 (6203): 1491. doi:10.1126/science.1255720. PMID 25237098. ↑ Kratz, J. V. (2003). "Critical evaluation of the chemical properties of the transactinide elements (IUPAC Technical Report)" (PDF). Pure and Applied Chemistry. 75 (1): 103. doi:10.1351/pac200375010103. ↑ Huebener, S.; Taut, S.; Vahle, A.; Dressler, R.; Eichler, B.; Gäggeler, H. W.; Jost, D.T. ; Piguet, D.; et al. (2001). "Physico-chemical characterization of seaborgium as oxide hydroxide" (PDF). Radiochim. Acta. 89 (11–12_2001): 737–741. doi:10.1524/ract.2001.89.11-12.737. Wikimedia Commons has media related to Seaborgium.